Mulberry - Established in 1971, there's just something about this iconic British brand that makes me stop at their window and wish I had everything. World renowned for their leather bags such as the Bayswater and Alexa, they will last you a lifetime and will never date. The shape of these dresses are gorgeous, the lace detailing and sweetheart bodice makes them figure flattering and girly. 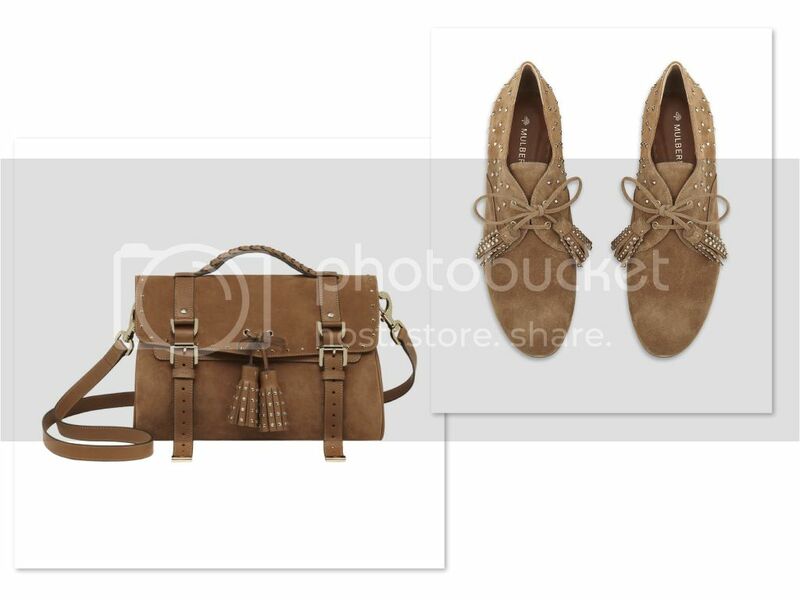 I love this Heavy Studded Tassel Bag for the studding detailing, edging up a classic design and the matching Tassel Suede Lace Up Shoes. Both can be worn through Summer with a pretty floral sun dress, and through Autumn with layered chunky knits, and the gold detailing means they will see you through seasons to come. After all, the great British summer doesn't hang around for long! 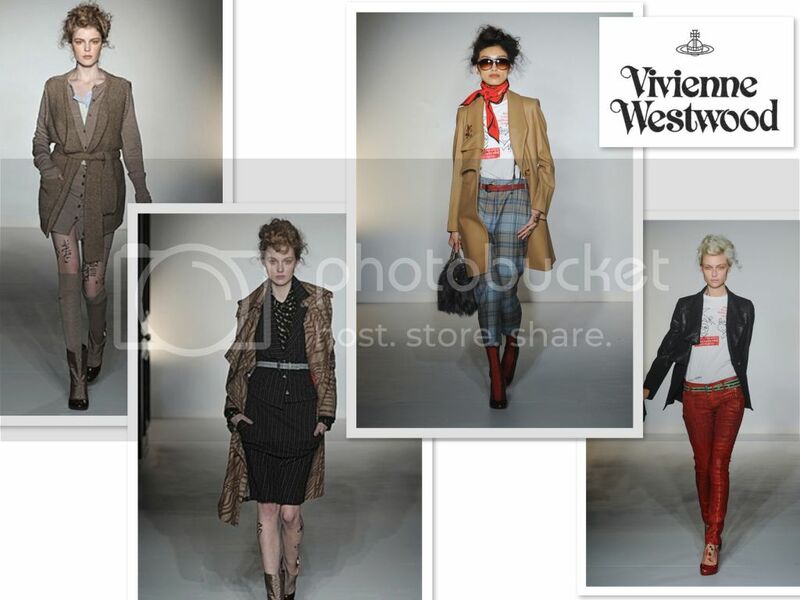 Vivienne Westwood - With her signature flashes of Tartan, Dame Viv shows the world the more eccentric side of British Fashion. 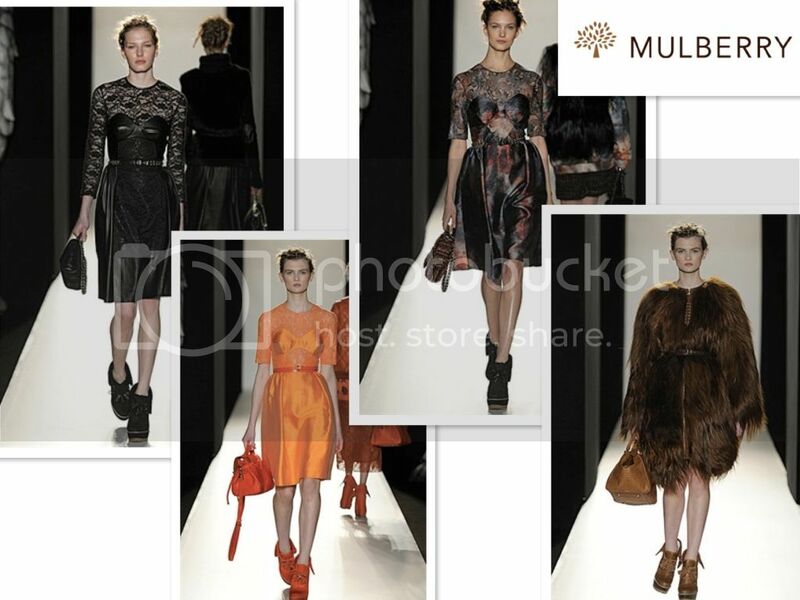 Her designs reflect the rebellious punk rock movement encapsulated in romantic tailoring. I love the layered knit look in the first photo, and the blue tartan trousers transition the statement trouser trend to Autumn/Winter. Although not for the faint hearted, the windows are always styled to perfection and her iconic globe logo bags and jewellery, and 'Pirate' boots show that there's something for everyone. What do you think? Which designer do you think epitomises British fashion?